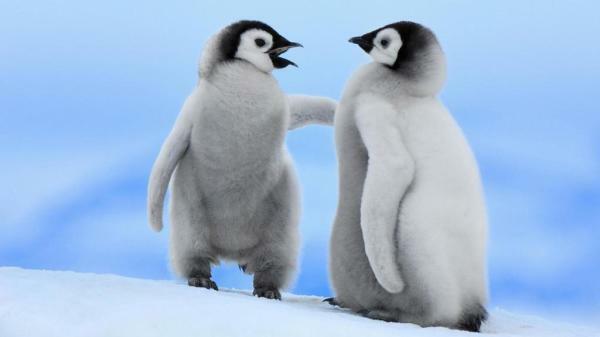 Height: Emperor penguin: 3.6 – 4.3 ft., Little Penguin: 12 – 13 in., Galapagos penguin: 19 in. Penguins are aquatic, flightless birds that are highly adapted to life in the water. Their distinct tuxedo-like appearance is called countershading, a form of camouflage that helps keep them safe in the water. Penguins do have wing-bones though they are flipper-like and extremely suited to swimming. Penguins are found almost exclusively in the southern hemisphere, where they catch their food underwater and raise their young on land. Staples: Krill, fish and squid. 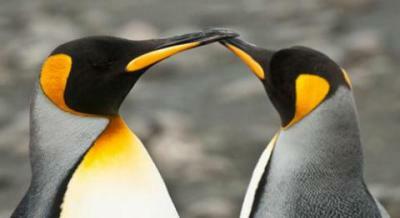 In general, penguins closer to the equator eat more fish and penguins closer to Antarctica eat more squid and krill. 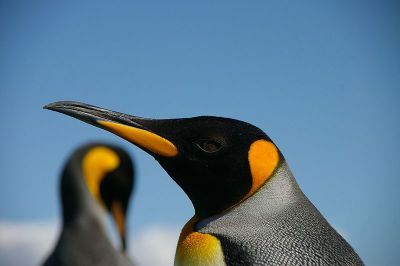 Larger penguin species are found in colder climates where their large body mass enables them to cope with the conditions, while smaller penguins inhabit warmer climes. The penguin species with the highest population is the Macaroni penguin with 11,654,000 pairs. 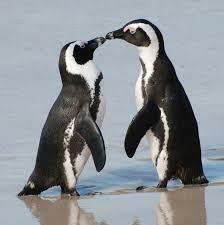 The species with the lowest population is the endangered Galapagos penguin with between 6,000-15,000 individuals. Penguins can be found on every continent in the Southern Hemisphere from the tropical Galapagos Islands (the Galapagos penguin) located near South America to Antarctica (the emperor penguin). Penguins can spend up to 75% of their lives in the water. They do all of their hunting in the water. Their prey can be found within 60 feet of the surface, so penguins have no need to swim in deep water. They catch prey in their beaks and swallow them whole as they swim. Some species only leave the water for molting and breeding. The emperor penguin breeds in the coldest environment of any bird species; air temperatures may reach -40° (F/C), and wind speeds may reach 89 miles per hour (144 km/hr)! Penguins are social birds. Many species feed, swim and nest in groups. 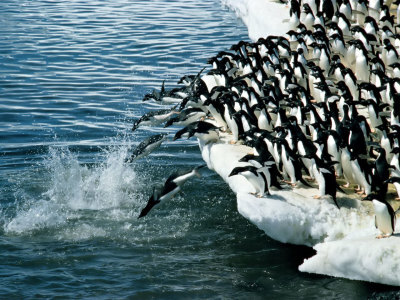 During the breeding season, some species form large groups, or “rookeries”, that include thousands of penguins. Each penguin has a distinct call, allowing individuals to find their mate and their chicks even in large groups. Mating Season: Varies depending on the species, though most breed during spring and summer. Incubation: Varies from 1 month-66 days depending on the species. 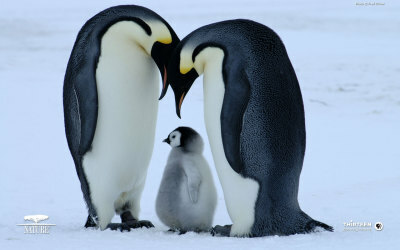 Some offsprings: King and Emperor penguins lay one egg. All other species of penguin lay two eggs.